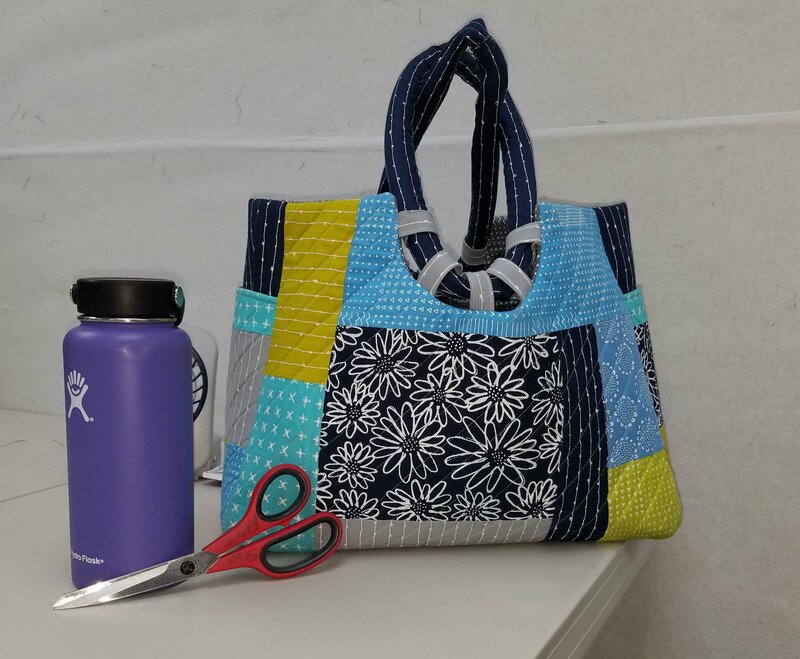 This Maxwell Bag from Abbey Lane Quilts is a great size for weekend get-a-ways or carrying your quilt projects and supplies. This is a 2-day class on Saturday and Sunday. The first day will be quilting the pieces of the bag and getting ready to assemble the bag on Sunday. If you are not familiar with quilting straight line or grids with your Walking Foot, Jenny will show you how. Make sure to sign up early to make sure you get a spot in the class. The pattern and supplies are available here at the store. Click on the link below for class notes from the instructor.